Tabs like in a browser! This program will help you to watch several films in rotation. This can be useful if you watch video tutorials on a variety of topics. Or maybe when watching a movie you have changed the mood, and you decide to see something different. In this case, the program remembers not only the position but also the volume, playback speed. If the number of movies in your collection is very large, you can organize them into groups (tabs). You can also use this software in their products, because it is free. More times I think: why in the video player is not possible to play videos in separate tabs? One day I decided to write a program that would be implemented this feature. And now you can test it. You can switch between tabs like in a browser and watch a lot of movies. Movies can be grouping by teams. You can set parameters (speed, volume) for each movie separetуly. Program may be controlled by command line interface or using shared files. This is first version. It may have some bugs. To uninstall the program, simply remove it from the directory. Before removing do not forget to copy the desired data. 1. 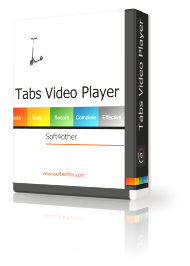 Author of "Tabs Video Player" is Alexander Alekseev. Name "Soft4other" is the pseudonym of the author of the program. 2. You can run it for free indefinitely. 3. You can distribute this application alone or together with their applications for free or for money. 4. These software are provided "as-is". 5. No warranty of any kind is expressed or implied. 6. The author will not be liable for data loss, damages, loss of profits or any other kind of loss while using or misusing this software. Any suggestions, feedback and comments are welcome. How to rename themed tabs? Using the shortcut menu. It appears when you right-click on thematic tabs. How to change the playback speed, and most importantly, why? Use Ctrl key and mouse wheel to change playback speed. The speed can be varied in the range from 0.5 to 10. Can I distribute this program, together with my application? Of course! It is freeware! 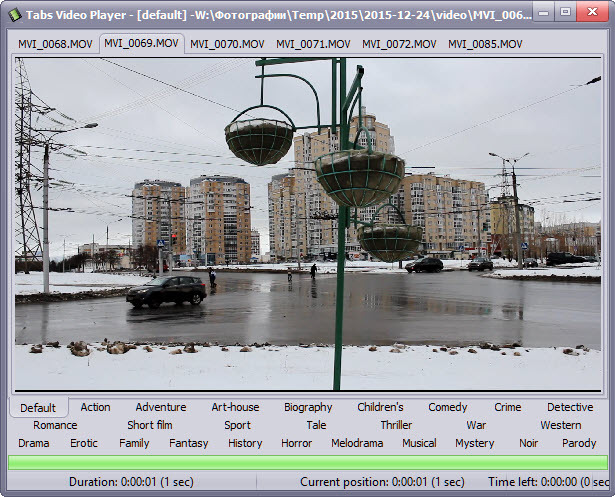 How can I control the video playback from my application? You are right! It is something special. Our credo - the creation of high-quality low-cost domestic software for general users. We sincerely hope that you will find it useful products on our website. Do you want to be informed about news of our site? Which product do you use for working with documents more often?